In late September Jo and I traveled to the Upper Peninsula with her sister Donna and our brother-in-law Dan to enjoy some hiking, fall foliage, and golfing. 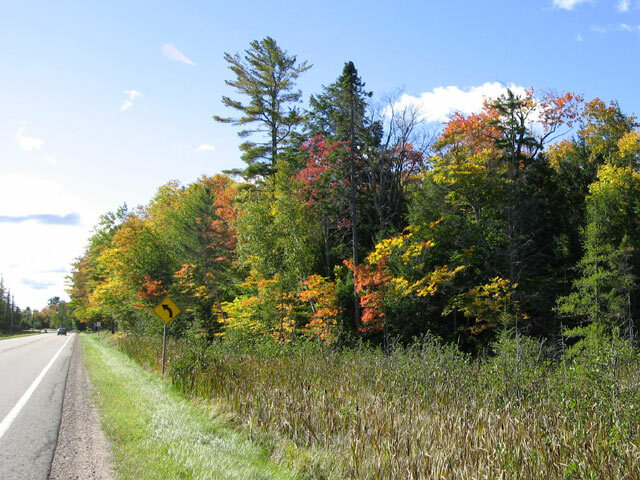 Previously we had visited the western part of the UP in late September and found some great fall color at places like Black River Harbor and Porcupine Mountains. The leaf color usually changes early in the Western UP, especially a little away from the lake. But although we’ve been to the central and eastern parts of the Upper Peninsula many times we’ve never caught the fall color change. We arrived in Munising on September 20th. There was about 20% color change as we traveled north from Escanaba, MI towards Munising. 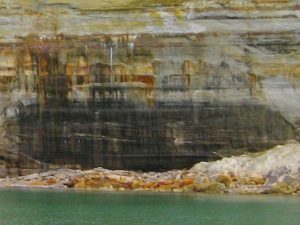 But when we arrived in Munising, the color had yet to change. But the weather was nice, crisp but still warm enough to run around without a jacket. 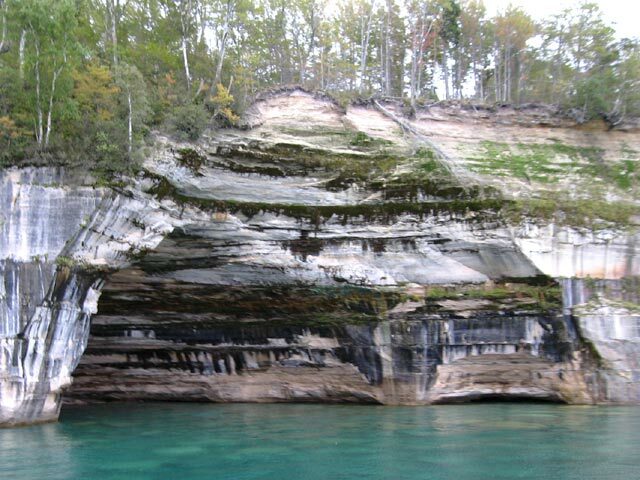 While Dan and I golfed at the Pictured Rocks Golf Club (see our separate post here), Jo and Donna did some hiking to some of Munising’s Waterfalls. Later that day we all met again as we had booked space on an evening cruise to view the famous Pictured Rocks that lend the Pictured Rocks National Lakeshore Park its name. Fantastic, even though clouds had rolled in and night descended upon us during the last half of the cruise. The rocks are something special. We definitely will be going on this cruise again. You can see more Pictured Rocks pictures on our website. 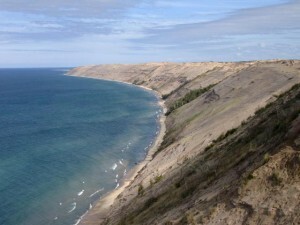 While a unique and important natural wonder, Pictured Rocks National Lakeshore Park has a good deal more to offer. 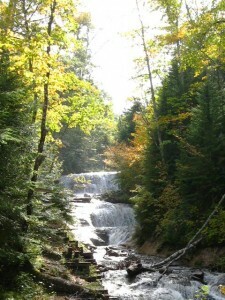 There’s several waterfalls, a number of hiking trails, sand beaches, interior lakes, camping, and the Grand Sable dunes. The Parks Visitor Center at the northern edge of Munising should be your first stop on arrival to get maps, brochures, and information on all there is to see and do. 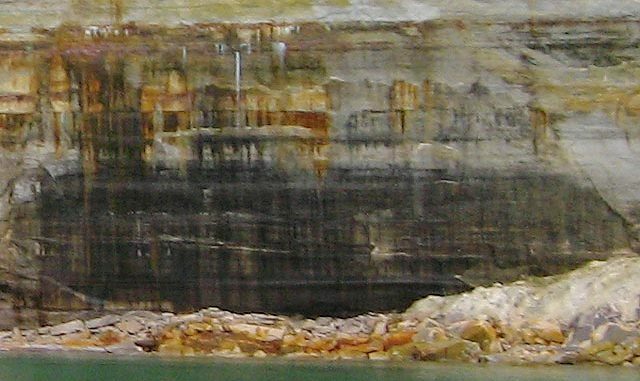 Tuesday we traveled over to the east side of Pictured Rocks National Park to stay at Grand Marais and see some of the park’s eastern-side sites. 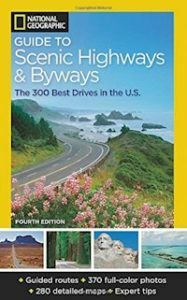 Although only about 25 miles apart as the crow flies, it is 60 miles by a paved road. But sometime in early 2011 county highway H58 (formerly a sand road) should be finished paving. This road runs along the southern edge of the National Park. In addition to saving time getting from Munising to Grand Marais and more easy access to camping and scenic areas within the park, I think it will become a very popular fall scenic drive as it travels through a more mature hardwood forest. In Grand Marais, we had lunch at the Lake Superior Brewing Company and sampled their brews. Jo and I had the Porter; Dan had the Pale Ale. We liked the Porter but not the best we’ve had; Dan was well satisfied with the Pale Ale. 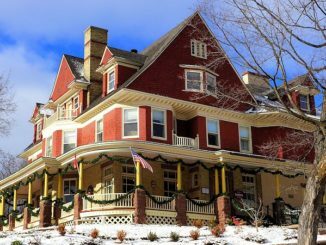 A friendly home town atmosphere. After lunch we headed out to do some hiking and scenery spotting in the park. 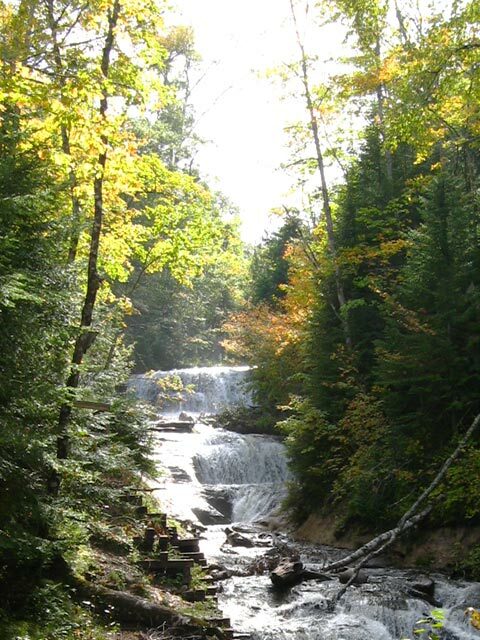 We hiked to Sable Falls and then down to the Superior lake shore. Fairly short, about a half-mile, but there are stairs to climb down and then back up. Stairs and trail in good condition so most people won’t have a problem. Then we parked at the trail head to the Log Slide Overlook. 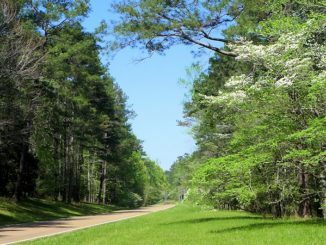 This trail is flat and handicap accessible, maybe a little more than a half-mile. Super view of the Grand Sable Dunes (they are about 200 feet high and stretch for several miles) and in the distance the Au Sable Lighthouse. So we then decided to go see the Lighthouse. You have to park at the Hurricane River Campground and then walk a woods road to Au Sable point. The path is easy but three miles long so take some water. Along the way you’ll have occasional views of Lake Superior and access to the beach. There’s still some shipwreck debris in the shallow water near the point. Apparently a reef off the point was a good trap for vessels caught in bad weather. The lighthouse is pretty neat. We couldn’t get inside but enjoyed wandering around the grounds following a guide book that is available in distribution packet on the wall of one of the buildings. There are guided tours of the lighthouse available at certain times during the regular summer season. 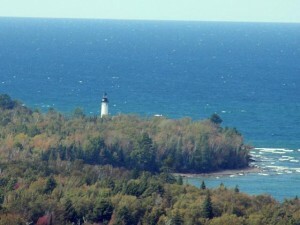 More pictures of the Lighthouse and info and pictures of Grand Marais and Pictured Rocks Here. 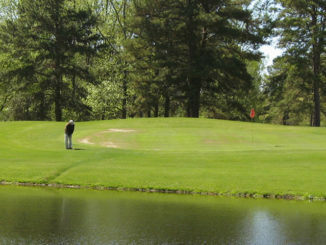 The next day we left Grand Marais on our way east to Brimley, Michigan to stay at the Bay Mills Casino and Resort to play their Wild Bluffs Golf Course. As we got away from the lake a little way we picked up more color than close to the lake. For our future reference, or yours if you are traveling up this way for fall color, I would estimate the last week in September and first week in October for best color around Pictured Rocks. I think the 2010 season was a little late because of above normal rainfall in September. One bonus of the above normal rainfall was being treated to some excellent waterfalls as you can see in the above shot of Sable Falls and in our later post that includes Tahquamenon Falls. So we had less color than expected but got some terrific waterfall scenery.